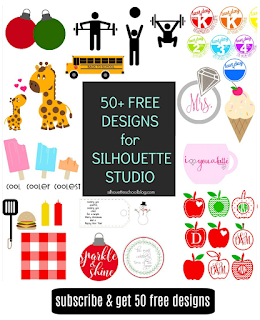 I promised you October would the be the month of giveaways on Silhouette School and I'm keeping my promise. 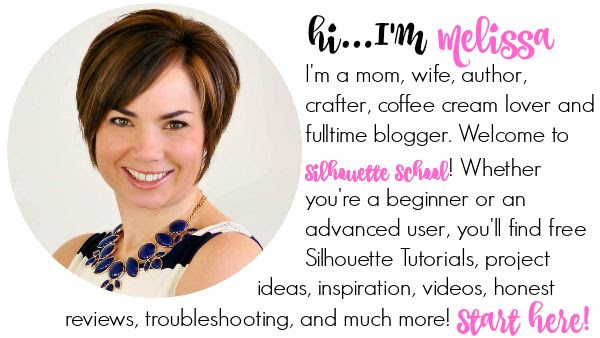 The giveaway comes at a wonderful time for Silhouette School as we reach 20,000 followers on Facebook and nearly 1,000,000 page views on the blog! That's an amazing feat for a relatively new blog. We're not even a year old yet. I say it at least every other week...I'm continually humbled and flattered by the feedback I get from my readers and social media followers. 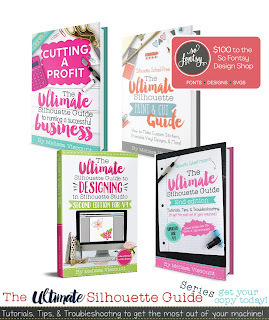 I'm convinced you are the best out there and so I'm always so thrilled to have an awesome giveaway to thank you!!! 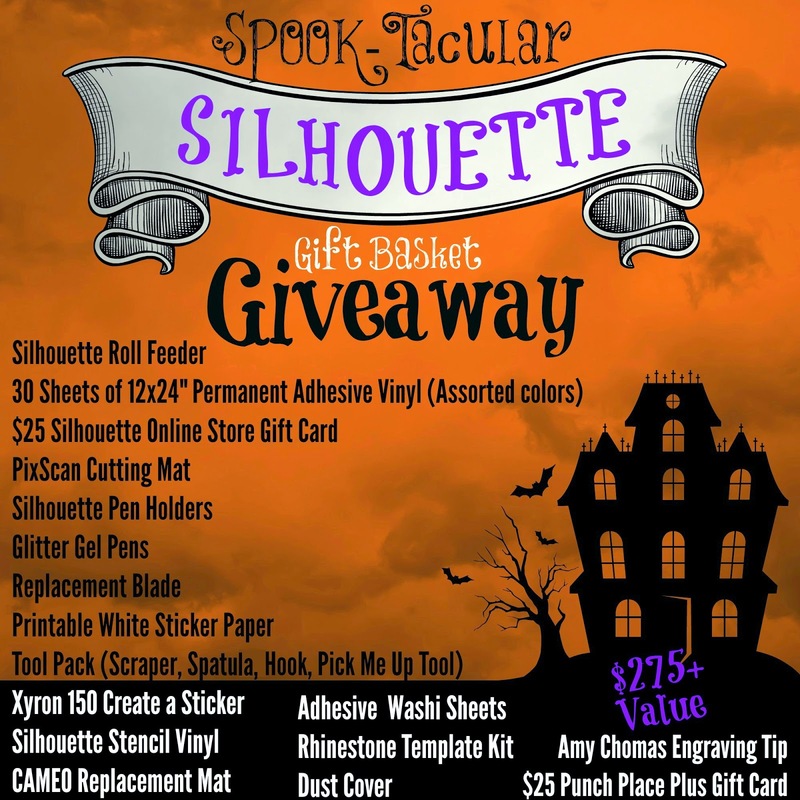 The SPOOK-tacular Silhouette Gift Basket Giveaway is the third big giveaway this month and it's a good one! 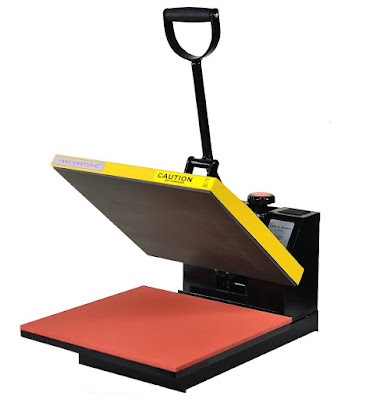 How about more than $275 in Silhouette-related prizes and gift cards including a $25 Gift Card to the Silhouette Online Store, a Silhouette roll feeder, 30 sheets of adhesive vinyl in 15 different colors, PixScan, blades, a $25 Gift Card to Punch Place Plus, an Amy Chomas engraving tip and much more? Yeah...there's nothing scary about that, right?! 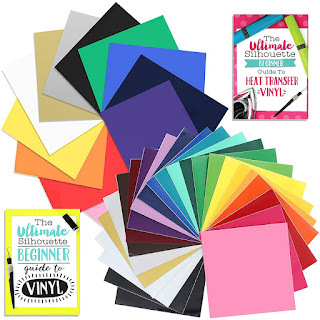 I've come together with some of my fellow Silhouette blogging friends and a few retailers - Chomas Creations and Punch Place Plus - to bring you the awesome prize pack and now I'm inving you to check out all of their blogs just by clicking on their lovely photos or links below the graphic. 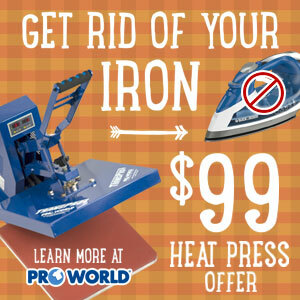 Then just click through the giveaway entry form below and you'll be entered for a chance to win! 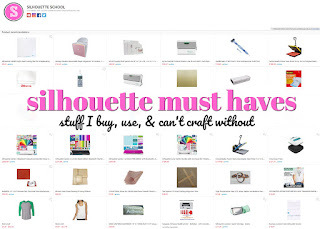 And now for why you're here...a chance to win the best Silhouette Gift Basket in town!